As Lake Victoria continues to become a thriving hub of technology and culture in the Android universe, the eyes of corps and runners alike turn to the Sub-Saharan League. New tools enhance the corps' defenses, while runners invent new methods of mayhem. As plans for a new beanstalk begin to take shape, so too does the next era of warfare between corporations and runners. 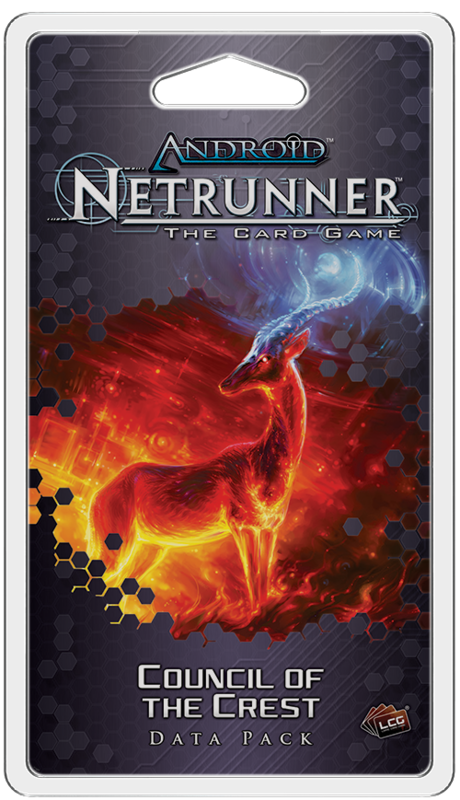 Council of the Crest, the third Data Pack in the Kitara Cycle for Android: Netrunner is now available from your local retailer or online through our website! 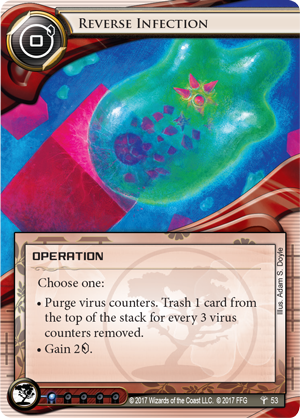 Council of the Crest features three copies each of twenty new cards and gives the runners the new tools to indirectly impact the corps' defenses, including deadly virus proliferation and a new Sunny Lebeau card that initiates a risky trace. Meanwhile, the corp finds new ways to toy with the runner by using their own tools against them or forcing a dangerous second encounter with the same piece of ice. Find the power you need to score and steal agendas with the tools provided in the Council of the Crest Data Pack. Everything has a weakness. No matter how much money a corporation puts into its servers, there’s always a way to navigate their web of defenses and hit them where it hurts—whether it’s a more direct method, like using virus counters to bolster your own strength, or something more subtle, like forcing the corp into a deadly trace. Anarchs thrive on the chaos of virus counters. Using these counters allows Anarchs to boost their economy, ravage ice, and steal the corps' agendas with ease. Council of the Crest gives Anarchs around the world a new tool to proliferate and spread the viruses that sustain their playstyle. Friday Chip (Council of the Crest, 42) combines two of Anarch’s biggest themes. First, whenever you trash a corp card, you may place a virus counter on Friday Chip. These counters won't do anything just sitting on Friday Chip, but at the start of your turn, you may move one of them to any virus program, giving them nearly infinite uses. 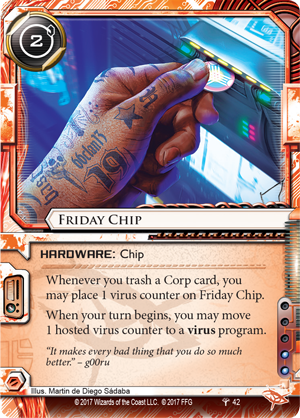 Since hardware is a more permanent fixture in your rig, Friday Chip provides an ample supply of virus counters that can be used to supplement the Anarchs' wide range of destructive tools. As an employee of GlobalSec, Sunny Lebeau is an expert in corporate server security. More than any external runner, Sunny knows how to profit when the corp’s security falls short and a trace fails. White Hat (Council of the Crest, 48) is an event that begins a strength-three trace. If it fails, you may reveal all cards in HQ and choose up to two of the revealed cards and shuffle them into R&D. This can be a powerful way for you to disrupt the corps' plans, making powerful events disappear or weakening the corps' defenses by getting rid of some ice that they were ready to install. Ultimately White Hat eliminates options, and it can potentially open a window for you to explore corporate servers and uncover their secrets uninhibited by what may be waiting in the wings. Of course, the corporations are prepared for such annoyances. Jinteki is the force behind the world’s greatest cloning technology, and they can deal with any server intrusions, even when under assault from a barrage of viruses. Reverse Infection (Council of the Crest, 53) takes the runner’s own weapons and uses them against the hackers, giving you the opportunity to purge virus counters and trash the top card of the stack for every three counters purged. If the runner is collecting virus counters for massive disruption, Reverse Infection can completely shatter their plans while removing vital cards they would otherwise draw. Even if your opponent isn't using virus counters, Reverse Infection can still work as an economy card, netting you two credits when you play it. At just one influence, Reverse Infection can be a silver bullet or a way to ensure you have the credits you need to succeed. When you have the tools you need, Jinteki can begin to play with their prey, forcing the runner to approach ice and servers that they had no intention of encountering. Code Replicator (Council of the Crest, 52), for instance, can make running any server twice as dangerous. 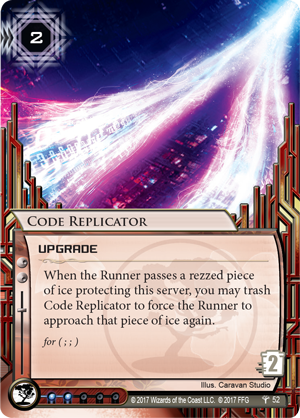 When the runner passes a rezzed piece of ice protecting the server hosting Code Replicator, you may trash Code Replicator to force the runner to approach that ice again. The runner must either jack out and end their run prematurely, spend additional credits to get through the ice again, or simply let the subroutines fire, hurting them in the process. Either way, Code Replicator is an essential tool for Jinteki, helping them to advance their corporate agendas while forcing the runner to face the labyrinth that protects their deadly servers. 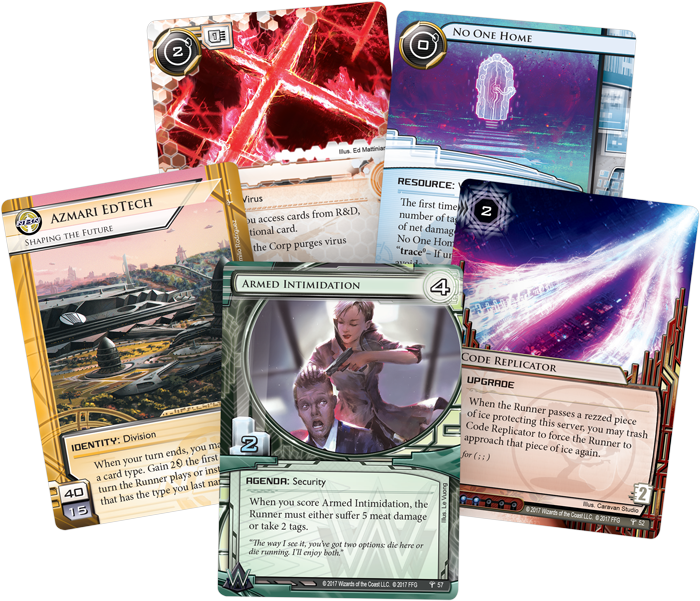 Continue your journey into Lake Victoria with Council of the Crest, the third Data Pack in the Kitara Cycle for Android: Netrunner. 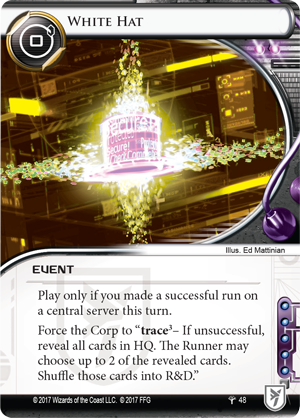 Will you use deadly tools to steal corporate agendas or confuse the runner by turning their own tools against them? The choice is yours. Prepare for a new era of cyber struggles. Council of the Crest (ADN52) is available now from your local retailer or online through our website!